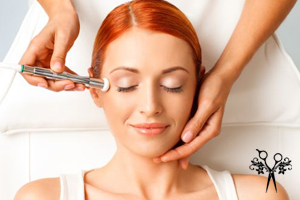 Body Contour April Offer Refreshing Full Body Scrub & 30 min De-stress Facial. Includes; Body Brush, Exfoliation,Moisturiser and a 30 min Facial / Scalp Massage, This months price £25.00!!! Usually £40.00. HD BROWS now being carried out at our Stalybridge Salon... Offers not to be missed. 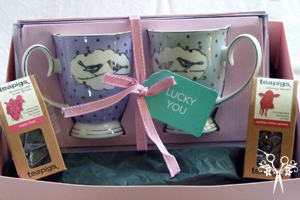 Gift vouchers for spa treatment and afternoon tea can be purchased from our Duky salon.... Call us on 0161 339 9100 - Dukinfield. We could help you lose upto a stone...in just a month! 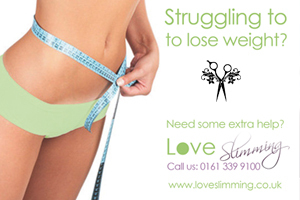 Love Slimming has been helping people to lose weight since 1999. Have a look through our website or call Hair at Body Contour Stalybridge on 0161 304 9747 to find out more about how you can really lose that weight. Our Dukinfield Salon is reachable on 0161 339 9100. Please call our Dukinfiled Clinic on 0161 339 9100 or Stalybridge Salon 0161 304 9747 to speak in person about information on our next Botox Clinic. 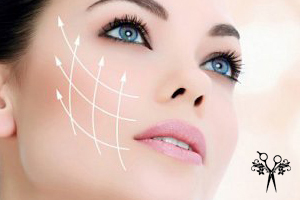 You can also find more information on this website and our sister site about our Botox & Injectable Filling Treatments. Hair at Body Contour offer our customers high quality hairdressing and beauty treatments with friendly staff that have been trained to the highest standards. Call us on 0161 304 9747 or just pop in anytime.